At Industrial, we're building a new platform to disrupt the traditional association management system (AMS) space. It's called wicket.io, and it's a modern approach to managing member data. A key component of wicket.io is integration with best-of-breed 3rd party applications that can be leveraged for core member-related activities. One of the most commonly needed tools for any association or non-profit is event management. Events typically come in a few different forms: annual or bi-annual conferences with fees; annual general meetings; smaller workshops or PD events with or without fees; and regularly scheduled webinars. In recent months our staff have undertook considerable research in the event management space, and we have concluded that there is a clear leader that stands out (far and wide) as the best solution: Eventbrite. What were our criteria when looking at event management solutions? Is the solution affordable from a licensing standpoint? Can we minimize any licensing fees, especially for free events? Does the software solution have a robust and modern API? This is critical in order to integrate the event solution directly into your own website. Does the solution provide a great registration experience for users, with the ability to customize questions/data requirements for each event? Does the platform provide good reporting functionalities? A must for event organizers. Does the platform integrate directly with MailChimp for email communication with event registrants? MailChimp is the defacto standard for email communication, and is used by most organizations we work with. Does the platform provide for a good mobile experience? During our evaluation of the event management landscape, Eventbrite met or exceeded our criteria across the board. There are no "setup" or "per event" fees that you must pay as the event organizer. Instead, fees are paid to Eventbrite on each registration that occurs. For each registration, Eventbrite charges 2.5% of the ticket price, plus a $0.99 per ticket, plus a 3.5% of the ticket price for the payment processing (if you use the Eventbrite payment gateway, which we would recommend). Each ticket for your event is $100. As the organizer, you can pay these fees yourself, instead of passing them onto the registrant. Under this model, based on the example above, you would still charge the registration $100 and Eventbrite would transfer you $93.01 for each ticket you sell ($100 - $6.99 in fees). Alternatively, you can choose to pass these fees along to the registrant. Under this model, the ticket price would be $106.99 per registrant, and Eventbrite would transfer you $100 for each ticket you sell ($106.99 - $6.99 in fees). Lastly, Eventbrite let's you choose to split the costs between you (the event organizer) and the registrant, another example of how flexible and well thought out the platform is. It's a very simple licensing model, and is one of the reasons Eventbrite has become so popular. Eventbrite does have a cap of $9.95 maximum of the ticket fees (before payment processing fees are added). You can choose to use either Paypal or Authorize.net for payment processing instead of Eventbrite, but things can get complicated as you are then adding in additional, per transaction, fees. Eventbrite also supports Canadian taxation configuration, and deposits funds directly to your Canadian-based bank account 1-2 days following the event. Eventbrite is a powerful platform, with endless features. We can't cover them all in one post, but below I've summarized some of the core features of the platform that make it a great solution. Eventbrite provides an amazing mobile toolset to allow event organizers to manage event attendance and registration at the door. Eventbrite's event management app is called Eventbrite Neon (iTunes link). For registrants, Eventbrite’s primary mobile app, available for Android and Apple devices, provides registrants with an easy way to find, register for, and attend your events. The app is widely used, and provides a virtual ticket for your registrants when attending your event, eliminating the need for paper tickets. Chances are that many of your members already have the Eventbrite app installed on their smartphone and have used it to register for events before. All of these reports can be run against any time period, and the fields of data to be returned can be customized. Reports can be exported to Microsoft Excel format for further analysis. This is one of the most powerful and innovative features on the Eventbrite platform. For events that have reserved seating (could be rows of seating, tables, or a combination of both), Eventbrite lets you design the floor plan, place the podium or stage, decide on the number of people per table or row, and assign pricing based on its automated "distance from stage" price generator, or you can manually assign prices per row/seat/table. Eventbrite has a powerful discount code system. It allows you to create an unlimited number of discount or promo codes. You can use these codes to give users a discount on their ticket price or give free access to an event. Discounts can be based on a period of time, based on a specific ticket type, and can be restricted to a specified # of attendees. Access codes are also available. These codes can be used to control access to events or specific ticket types for member-only or restricted access events. Through Eventbrite you can configure event transfer options for registrants. Registrants can be permitted to transfer their event ticket to another person(s) if permitted, and registrants can transfer their ticket to another event if permitted. Granular control over event transfer settings can be managed on a per-event basis. Waitlists can be enabled within Eventbrite for popular events. On an event-wide or ticket-type basis, a waitlist option can be configured to allow users to add their name to a waiting list in the event of cancellations or increased event capacity based on high demand. Beyond its rich feature set, Eventbrite provides powerful features for developers to integrate with the platform. It has a full-featured, versioned REST API that exposes much of the Eventbrite core data to 3rd party applications. It also has a robust Webhook system that is used to alert 3rd party applications when an event (i.e. registration, check-in) occurs in the Eventbrite platform. The richness of the Eventbrite developer toolset is one of the key reasons that we've chosen it as our event management system of choice for integration with the wicket.io platform. 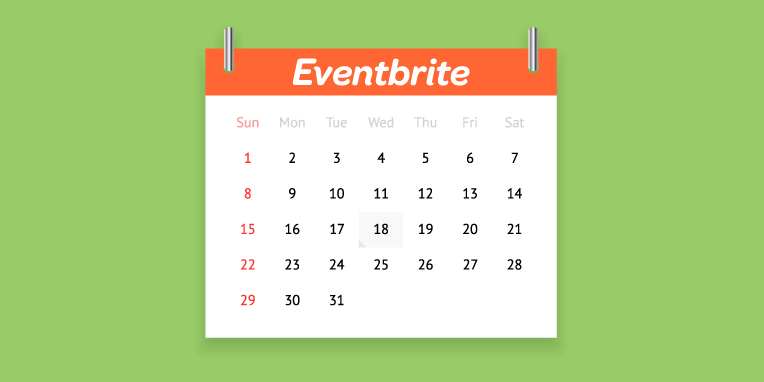 Already using Eventbrite for your organization's events? You've made a smart choice. Tired of being stuck within the confines of the features your Association Management System's built-in event registration provides you? You'd be smart to look at Eventbrite as an alternative. More to come on our work with the integration of Eventbrite with wicket.io. Stay tuned!